During a show you could expect to hear anything from 50s, 60s, 70s Rock n’Roll, 80s hits, 90s anthems, classic sing-a-longs, huge Aussie hits & Top 40. Basically, everything! 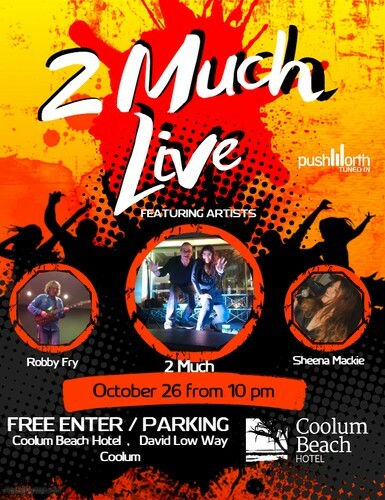 Having gained years of musicianship and knowledge and working with top-of-the-range equipment, 2 Much can take on any Event and always leave the crowd wanting more. 2 Much aims is to make your night as smooth as possible, for both you and your patrons or clients.